Friends, I’m thrilled to partner with delightful children’s retailer Hanna Andersson today! Hanna Andersson pieces have always been among my favorites; they're adorable and colorful and also well made (read: they survive many, many launderings across multiple kids)! Hanna Andersson just opened a new store at MarketStreet Lynnfield (just 20 minutes north of Boston!) 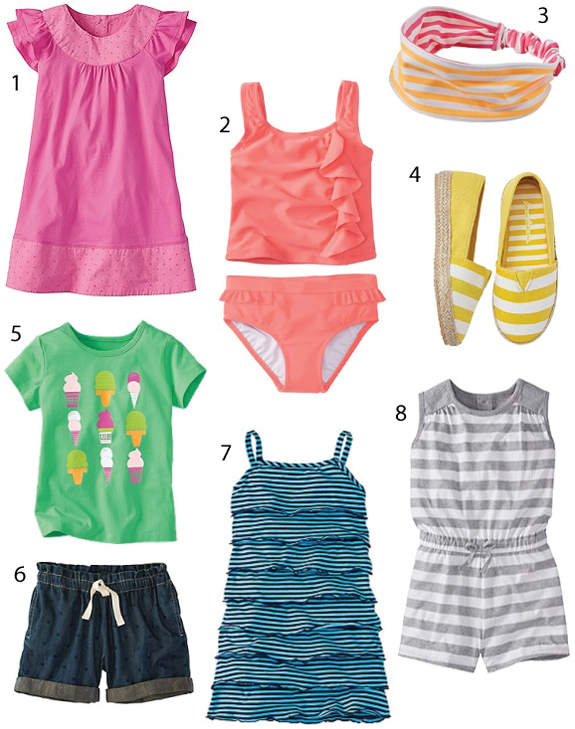 and today I’m sharing some of my favorite picks from their spring baby, boy, and girl collections. 1) These unisex little tankers are perfect for easy, breezy spring/summer dressing. 2) It really doesn’t get cuter than this smocked sundress. 3) Protect baby’s precious noggin with this swimmy sunhat. 4) I've always been a fan of two-piece tankinis for girls to make diaper change/bathroom visits easier. 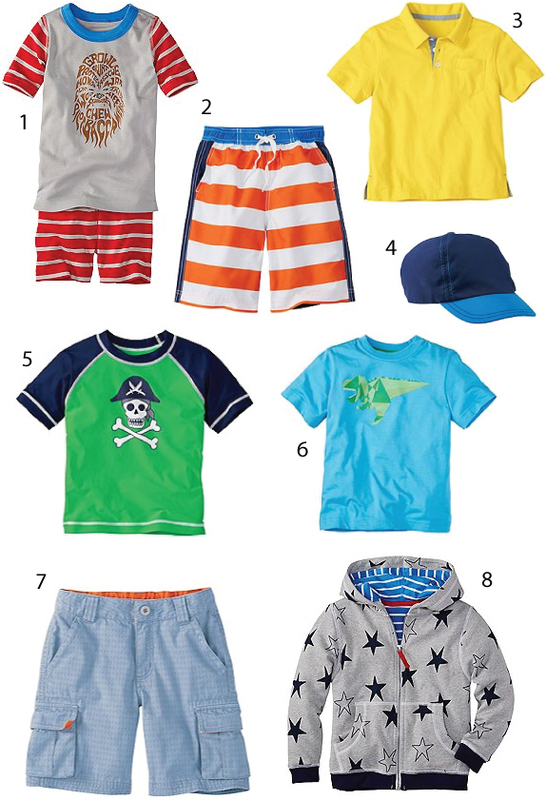 5) Protect your little one’s skin in patriotic style with this rash guard top + star shorts combination. 6) These whale jammies are adorable and snuggly. 7) I always dress my girls in layers; this soft terry hoodie will be great for cool spring/summer evenings. 8) Reduce slips and slides with these adorable unisex slipper moccassins. 9) Have your little one wear her heart on her coverup. Boy clothing used to be boring, but no more! 1) Your little Star Wars fan will love these Chewbacca jammies. 2) These colorblock board shorts are so preppily awesome! 3) A cheerful jersey polo works well for school or nicer occasions. 4) Perfect for the fair haired, this ballcap is UPF 50+! 5) Avoid the burn with this cute rash guard top. 6) It’s easy to load up on cute tees such as this modern metallic dinosaur tee. 7) I love these all out cargos; the color hints of denim but is more interesting + includes a subtle geometric pattern. 8) This star hoodie is perfection. Girls clothing is so chic these days! 1) Dresses are my absolute favorite for no-brainer dressing and this swiss dot dress would do well at school or special occasions. 2) I love the chic color and style of this ruffle tankini top + bottom. 3) Tame sweaty flyaways with this adorable reversible headband. 4). These striped espadrilles are so cheerful! 5 + 6) Tees and shorts rule when it comes to scaling playground structures; you can’t go wrong with this ice cream glitter art tee + these adorable dotted paper bag waist shorts. 7) This wavelets sundress is so simple and easy; your girl could wear it on its own or over a swimsuit. 8) I became obsessed with rompers (for myself!) last spring, and I’d totally take this summer-soft jersey romper in grownup size. So adorable right? Welcome to Lynnfield, Hanna Andersson! Disclosure: This post reflects a sponsored editorial partnership with Hanna Andersson. All opinions about product picks are, of course, my own!